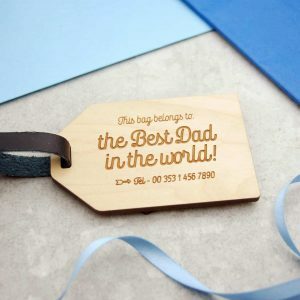 Show him you care by giving a gift made special just for him. 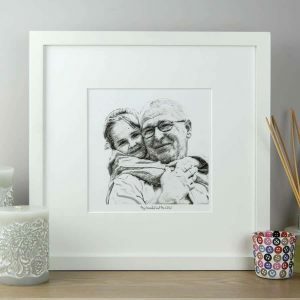 Create a stunning pencil style portrait from a favourite photo, personalise a cutting board to show him he’s king of the kitchen or give him a coaster for his favourite tea, coffee or beer! 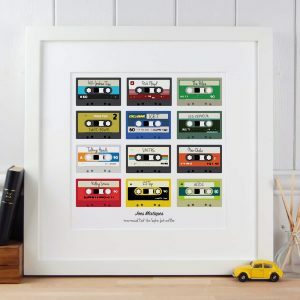 Great personalised print of Dads favourite bands or songs in a retro style. 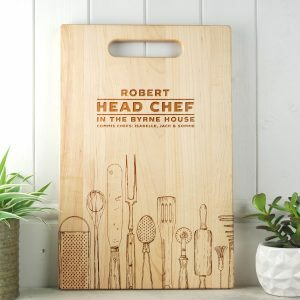 Show you care for all that creative cooking by giving a personalised "Head Chef" chopping board. Be a Barbeque King with this personalised cutting board - a must for every outdoor chef! 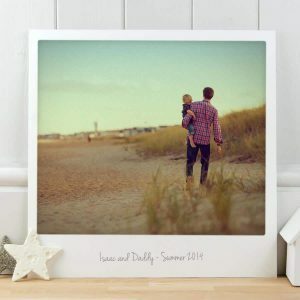 Capture a special Father and child moment with this large personalised Polaroid print (size: 32cm x 32cm). 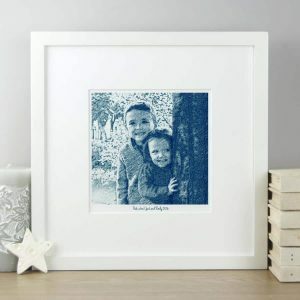 Upload your favourite photo and we will transform it into a stunning vintage polaroid style print. 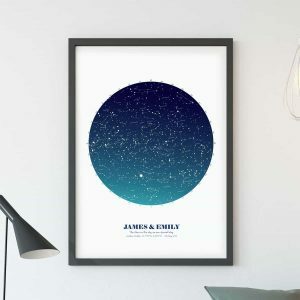 Giclee printed on 300gm acid free off-white Artists watercolour paper. 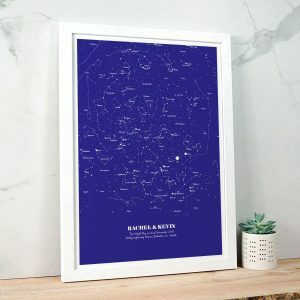 Can be supplied as a print or professionally framed (+€25). 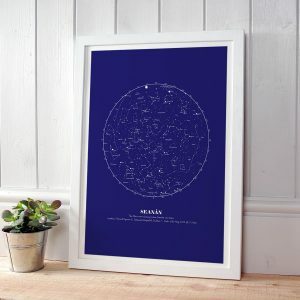 You can choose vintage colour, vintage Black & white, or keep the original colour and you can add a personalised message or date to the bottom of the print. 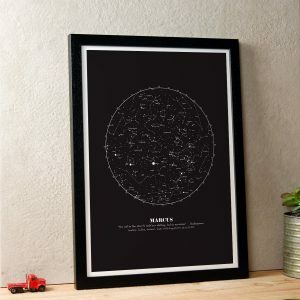 Can be left blank if you prefer. 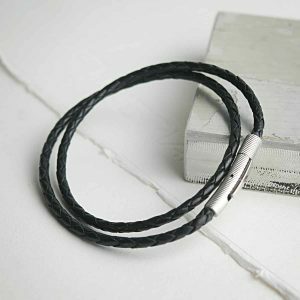 If you would like a proof emailed to you, please let us know, we can make minor adjustments if necessary. 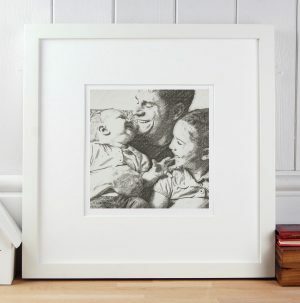 Stunning portrait of Dad and the kids created from a favourite photo. Treat that Masterchef to something special with this one of a kind chopping board! 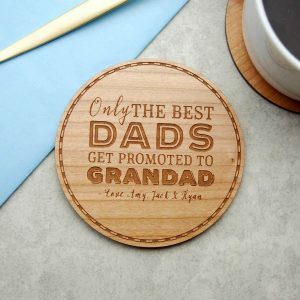 Only the best Dad's get promoted to Grandad! 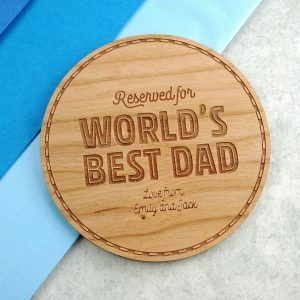 A special coaster for World's Best Dad. 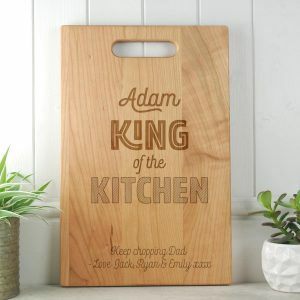 Make him King of the Kitchen this Father's Day with this finely made chopping board. Show him you care for all that creative cooking by giving a personalised "Personal Chef to" chopping board. 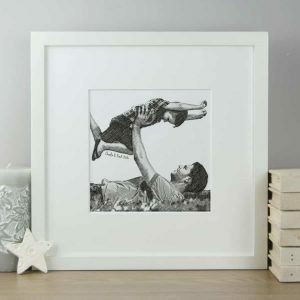 Create a beautiful coloured pencil illustration from your favourite father and child photograph. 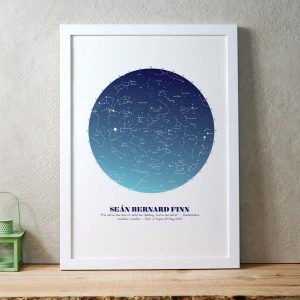 Giclee printed on 300gm acid free off-white Artists watercolour paper and comes with an off-white mount. 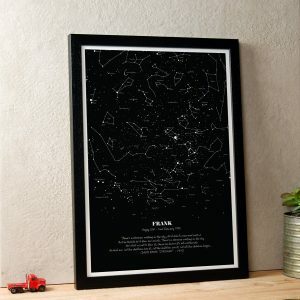 Frame also available (+€25). 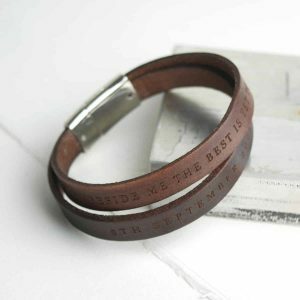 You can also include names, date or personal message underneath in a handwritten font. 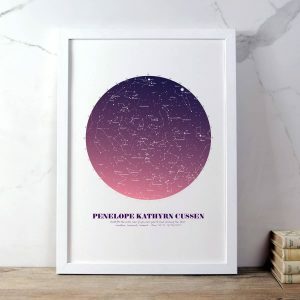 We use our own custom digital filters to generate the illustration from your photo in a stunning coloured pencil style available in a range of colours (please see choose from the menu below for a more detailed view). 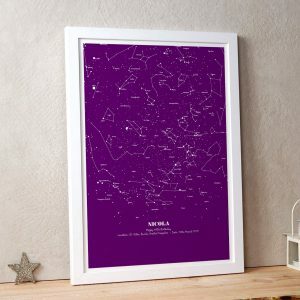 Background can be excluded if you prefer, just click that option below. Show you care by giving a personalised chopping board highlighting all his best dishes. 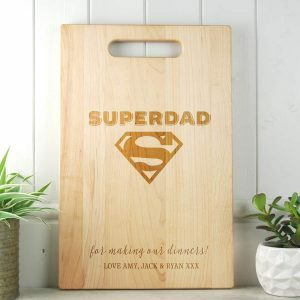 Make him feel special with this personalised shopping board after all he is a Superdad (sometimes)! 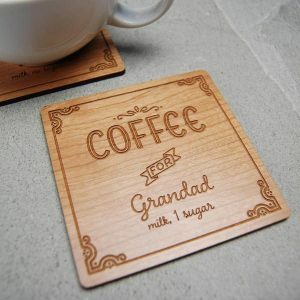 These delightful coaster set is sure to put a smile on any grandparents face. 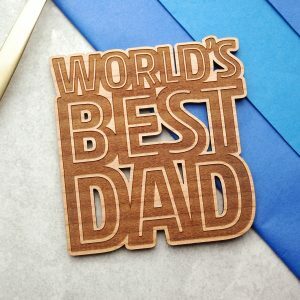 The perfect gift for Dad this Father's day or for a birthday from the children. 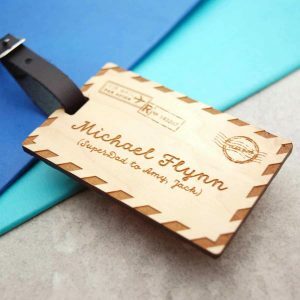 This stunning luggage tag for Dad is engraved in a vintage Airmail letter style. 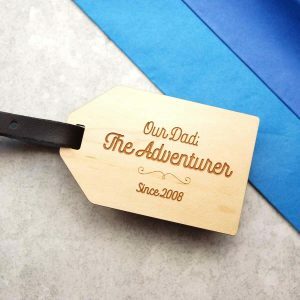 Perfect for a globetrotting father or a dad who loves to travel!